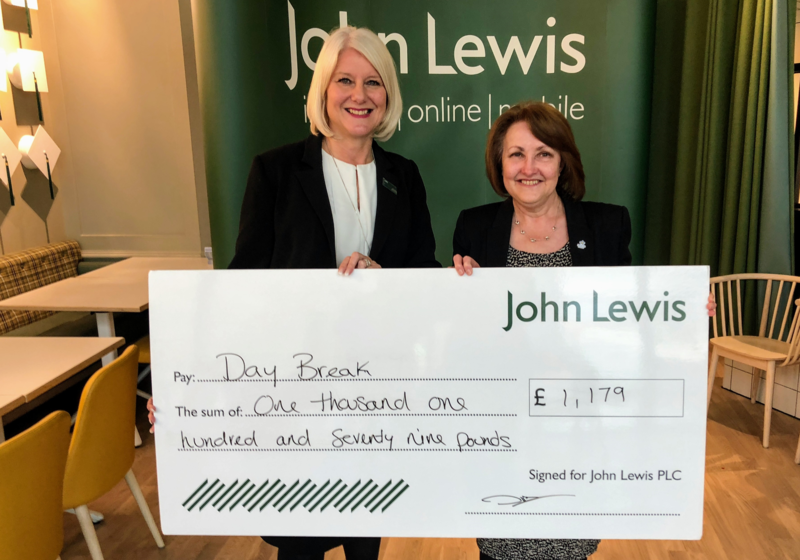 Daybreak was chosen to be one of the first three charities to be supported by the new John Lewis store in Oxford under their Community Matters scheme. We were thrilled to be the charity receiving the most votes over the three-month period, and were delighted to receive a cheque for £1,179.000 from Store Manager, Julia Blake. We would like to thank Julia and her team for selecting Daybreak to take part and to those supporters who voted for us.